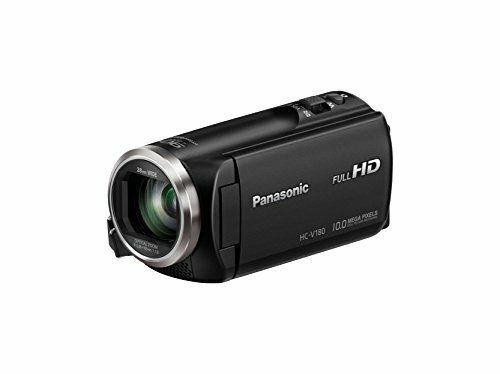 The best easy to use camcorder should have many auto mode features, large enough LCD display, and easy and user-friendly controls. 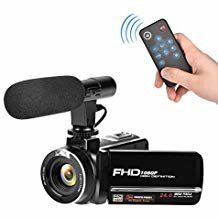 We have compiled this list on the basis of camcorder features like auto mode features, LCD display larger than 3 inch, user friendly controls, many expert review sites and Amazon ratings. In case of electronic devices, no matter what you buy, ease of use is the utmost priority, because if not, it’s as good as not being there for you when you need it. This applies to camcorders as well. 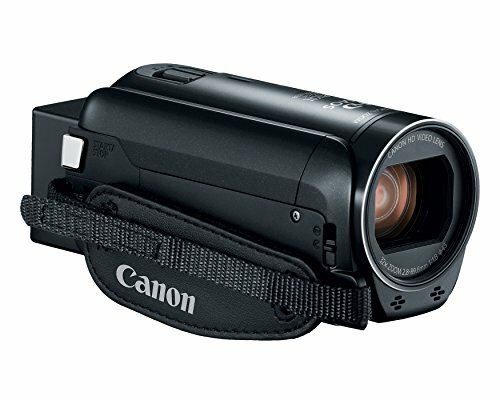 Hence, here were the top five camcorders and here is a little prologue for you before you make the final choice. From the VIXIA series by Canon, we have HF R700 and HFR800, which differ only in terms of tweaks and shooting assistance settings with the R800 being on the better side. Another difference between the cams is that the R800 has 35Mbps Bitrate whereas the R700 does it at 28Mbps. However, both have 1080p video resolution with a frame rate of 60FPS. Optical Zoom of 32x is common in both the camcorders and Optical Image Stabilization keeps the frame stable enough to produce optimum quality video. A 3.28MP CMOS sensor is also a common feature between the two, which enhances the light capturing mechanism to illuminate the content with better light and colors. Some of the other features are Smart Auto, Fast and Slow Motion, Highlight Priority Mode and more as you explore. Sony’s HDR-CX405 could be termed as satisfactory on all levels with quite a user-friendly interface. With the ability to record in multiple formats like XAVC S, AVCHD and MP4, its 1080p/60FPS video is pretty compatible with different tools for editing. 30x Optical Zoom and 60x Clear Image Zoom assisted by Optical SteadyShot Image Stabilization with Active Mode keeps you always ready to quickly capture the moments that mean to you. Its 26.8mm ZEISS lens has a wider angle to provide a wider view to the camera and the 2.7-inch Clear Photo Plus LCD shows exactly what the lens covers. Face Detection mode, voice enhancement, noise reduction are some of the factors that make it a viable choice for you. 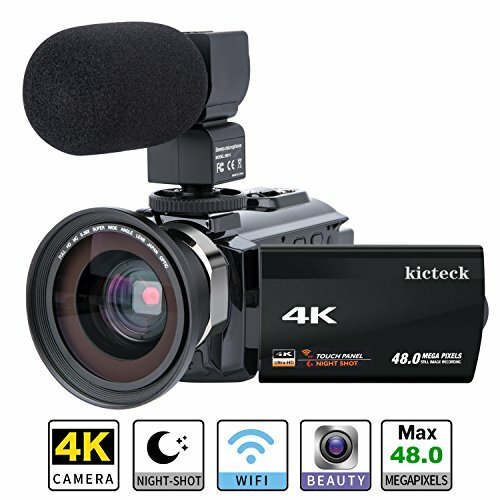 But then for sports and dynamic activities, the YI 4K cam could be a better choice as it comes with a 4K recording and also comes with a waterproof case to be bought separately. Some of the most advanced features it flaunts are Ambarella A9SE75 Chip, Sony IMX377 Image Sensor, 7-layer glass lens and Electronic Image Stabilization. 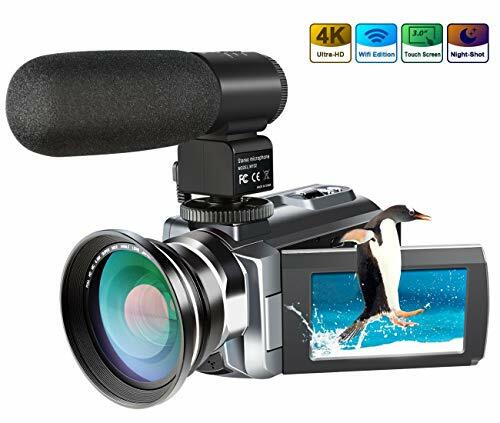 One of the rare things about this camcorder is that it has a self-cooling mechanism which keeps it from overheating and damaging anything at chip level. Convenient remote control is another aspect about this cam that many appreciate that’s facilitated by WiFi and Bluetooth. And last but not the least, the RockBirds HDV-5052STR camcorder with 1080p recording coupled with 5MP CMOS Image Sensor for controlling light incidence. Real-time broadcasting in Full HD to connect with your loved one in real-time is a great feature by such an affordable device. And the WiFi function enables you to switch to remote view and capture to use your smartphone as a controlling device from far away. Other than that, it is very much lightweight and easy to carry along on a random excursion.